There’s something about fall that just fells magical to me. The leaves turn every shade of golden, red and brown, the crisp air and the sun that still has it’s power to warm us up. 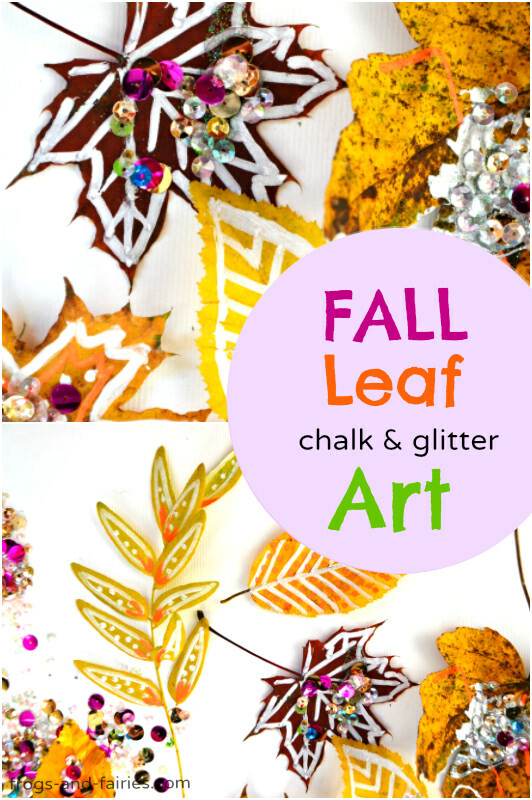 Save a bit of this fall’s magic and make some beautiful fall leaf chalk and glitter art! 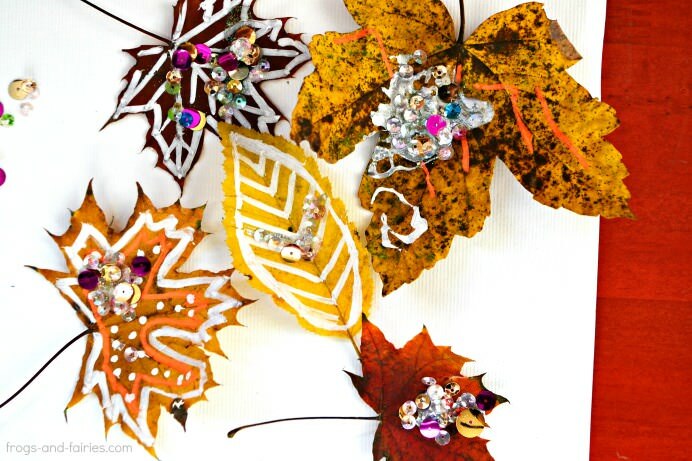 Go outside in the nature and collect some fallen leaves of the ground. Avoid the leaves that are curling at the ends or those that have rotten spots. Bring the leaves home and place them between newspaper sheets for a few hours or through the night to flatten them a bit. Lay a heavy book over the paper. 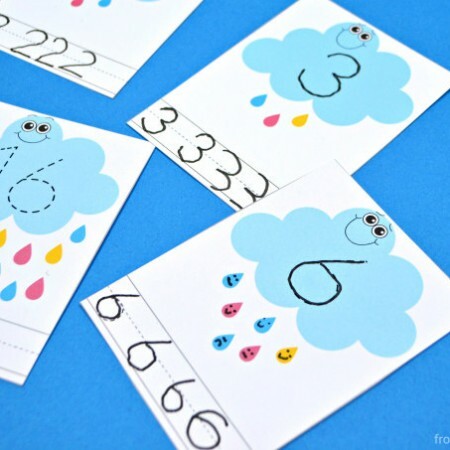 If you prefer, you can skip this step, but it is much easier to draw on the flattened ones. 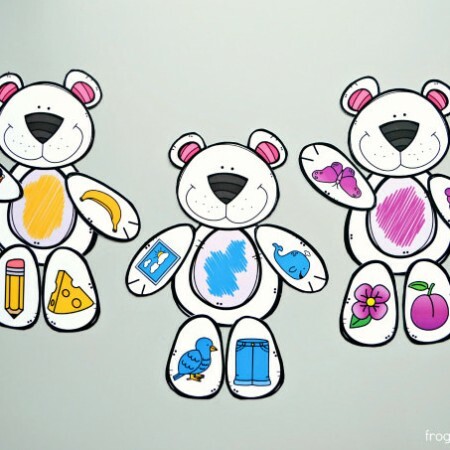 Grab the chalk markers and create any design you want! 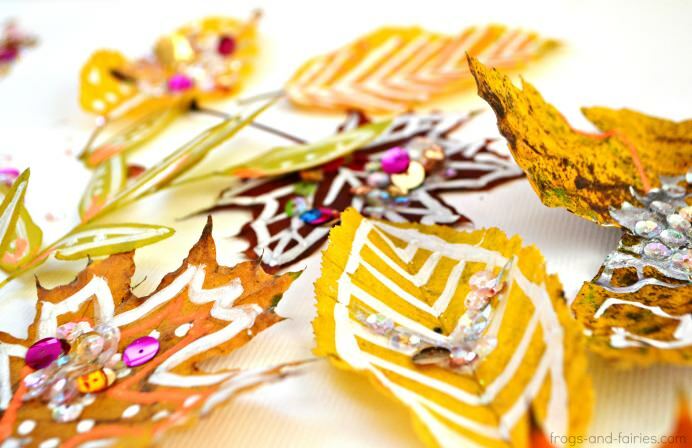 You can also decorate your leaves with glitter! 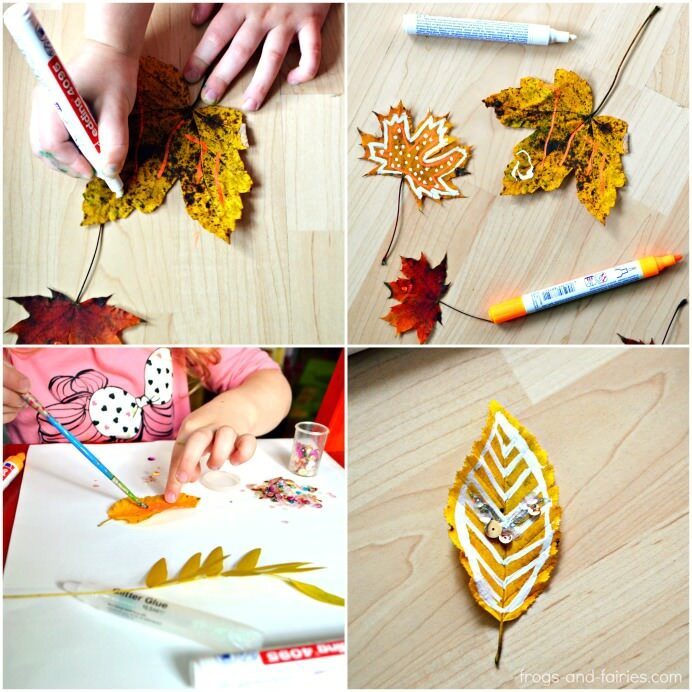 We used glitter glue to attach our sequins to the leaves. 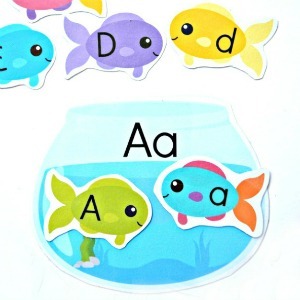 I think glitter glue is great for little hands and this project. Since it contains glitter, it doesnt leave the obvious glue stains. We thought the leaves turned out too pretty to not use them as a decoration in our home. 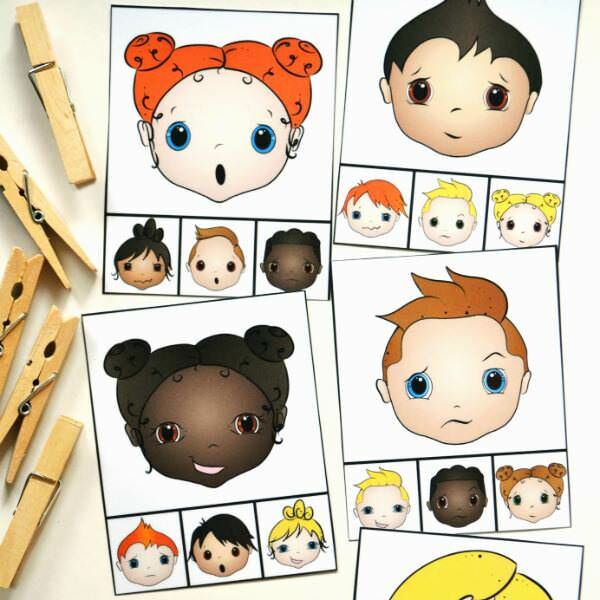 We let the glue to dry. I wasn’t sure the leaves were completely dry, that’s why we placed them between newspaper sheets again, laid a heavy book over and let them dry for a few more days. 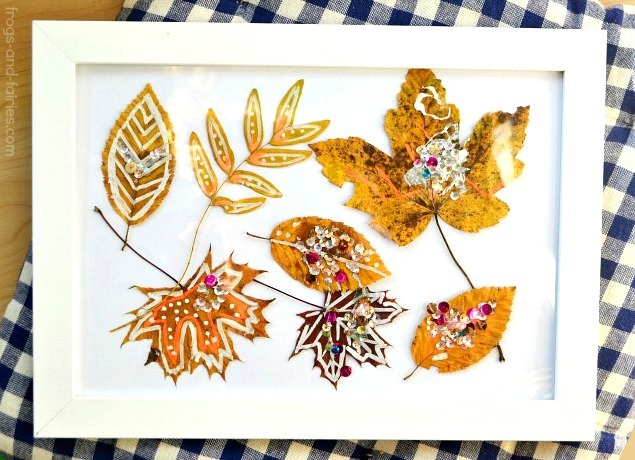 Then we put the leaves in a picture frame. Make sure to do that carefully, because the dried leaves are very fragile. 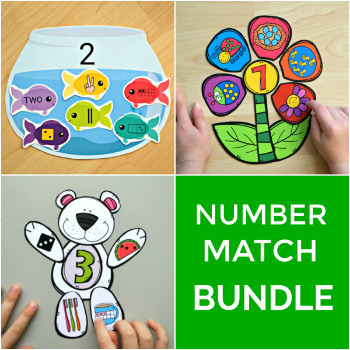 This way you can have a bit of this fall’s magic stored in your home and all year round!